And top Republicans like House Majority Leader John Bell say the agenda will be limited when they return next week for an emergency session, with a focus on relief funding, teacher pay and the school calendar in districts shuttered by the storm. Hopefully, that’s all they’re working on. But if past is prologue, it stretches credulity that Horn’s colleagues in the legislature’s leadership will overlook an opportunity, no matter how objectionable, to cook up their own storm. Time for a puppy moratorium? Or, perhaps more to their liking, a ban on pencils in paper-only voting sites? I’m kidding, of course. But any assumption that General Assembly leadership won’t hijack a crisis to suit partisan goals withered and died in December 2016, when legislators’ Hurricane Matthew relief session devolved into a partisan dogfight, with GOP leaders moving swiftly to settle scores and strip power from newly-elected Democratic Gov. Roy Cooper. Legislators seized state staff positions that previously reported to his Republican predecessor, Pat McCrory. And they began mucking with the state’s elections board, nominations for Cooper’s cabinet, and voting in court races. Bristling protesters admonished lawmakers, insisting that their tragedy – in which thousands of rural, eastern North Carolina residents saw their homes, businesses, and schools underwater – should not be a piece in some grand, Machiavellian game of political chess. Yet Dallas Woodhouse, executive director of the statewide GOP, sniped during a press conference in the midst of the brouhaha that Democrats had done worse in their decades of control over the state legislature. A day later, Woodhouse mocked the special session paranoia that we’ve become accustomed to in North Carolina. No, the legislature will not be selling the General Assembly’s naming rights to Pepsi, he joked in a sharply-worded dispatch after widespread rumors circulated that lawmakers would pack the N.C. Supreme Court to favor Republicans. But while political abuse of power certainly holds no party affiliation – Democrats deserve more than their share of blame for setting a whopping gerrymandering precedent, one Republicans have so lustily embraced – no one is more to blame for the rampant distrust in North Carolina politics today than the current GOP leadership of the state legislature. In the legislature’s dictatorial 2018 budget process, in their manipulation of voting lines to craft some of the most gerrymandered districts in the nation, in their surreptitious embrace of Jim Crow-era voter suppression tactics, in their one-day scramble to craft the noxious anti-LGBTQ restrictions of HB2, and in their stonewalling of gubernatorial appointees, top brass at the General Assembly have abused their power time and again, crafting sweeping bills with virtually no debate or input. At times, even members of the GOP caucus appeared left out of the leadership’s plans. Put simply, to assume benevolence from our leaders is a thing of the past. Top General Assembly officials have dispensed with such niceties, and no amount of scandalized editorials, outraged protesters, and lawsuits seems to matter anymore. Such behavior has consequences. Public trust is no bottomless well. And the damage done today to further short-term, political goals may have long-term repercussions on North Carolinians’ willingness to engage with lawmakers or seek public office. 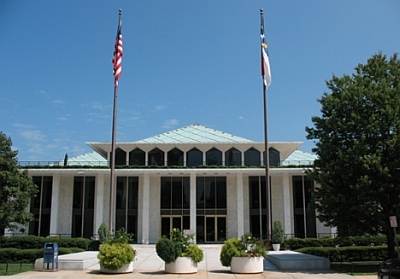 If legislative leadership wants to make amends, they’d focus on the pressing needs of North Carolina’s storm-battered residents, prioritize the state’s infrastructure needs to better prepare for the next tropical calamity, take stock of the woefully preventable environmental woes exacerbated by Florence, and direct resources to ensure that the necessities – health care, affordable housing, mental health services, education, food and water – are available for those hit hardest by Florence. Or they could take a page from past and present education leaders, who gathered Tuesday to launch a bipartisan relief drive for North Carolina schools battered by storms, districts that tend to serve some of the state’s most vulnerable children. And don’t scrimp on the state’s $2 billion “rainy day fund,” one amassed arguably at the expense of North Carolina public services and schools. For the thousands of North Carolinians struggling to access food, water and lodging today, there will be no rainier day than this one. Hope for the best and prepare for the worst. That’s often the mantra when we expect bad weather, but today – as we await word on lawmakers’ full agenda for next week’s emergency session – the same could be said as North Carolinians brace for the legislature’s return too.